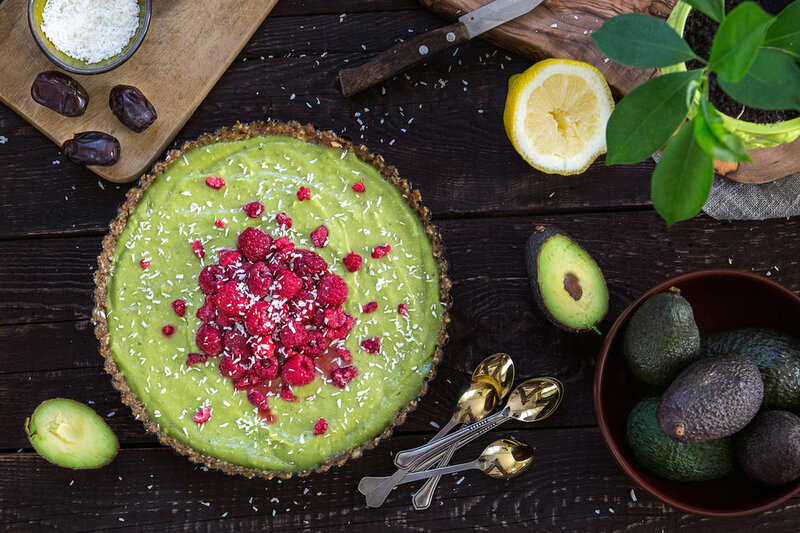 Make the MOST of your Thanksgiving holiday with a healthy holiday menu featuring avocados that's fit for the whole family. 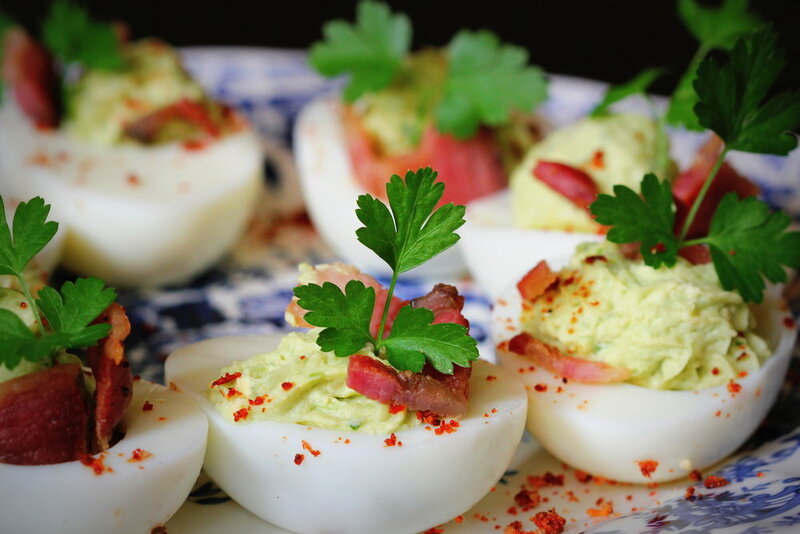 Slice hard boiled eggs in half lengthwise and scoop out yolks into a bowl. Set egg whites aside. Mash yolks and avocado with a fork, stir in lime juice. Add mustard, yogurt, salt and pepper. Scoop mixture into egg white cups. Sprinkle with green onion, paprika, or any other garnish you wish. Serve immediately or chilled up to 6 hours. Make this special recipe in full at Kayln's Kitchen, here. Make this special recipe in full at Half Baked Harvest, here. Place crust mixture down into a pie plate or dish and refrigerate while you prepare the filling.Place all crust ingredients into a food processor and blend until mixture is slightly chunky. Place the avocados, banana, lemon juice, lemon zest, honey or agave, and coconut oil into a food processor and blend until the mixture is smooth. Pour the filling over the chilled crust. Cover the dish using a plate, and return it to the refrigerator for at least two hours to set. Add raspberries and top with coconut flakes before serving.